Description: The Low Altitude Assault Transport/carrier, known more simply as the LAAT/c, was a vehicle carrier variant of Rothana Heavy Engineering's Low Altitude Assault Transport series of repulsorlift gunships developed for the Grand Army of the Republic. 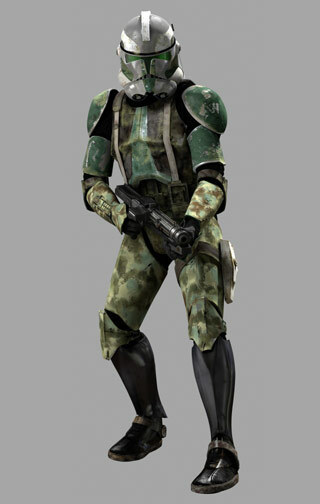 Beginning with the First Battle of Geonosis in 22 BBY, the LAAT/c saw use throughout the Clone Wars between the Galactic Republic and the Confederacy of Independent Systems and in the years afterward. 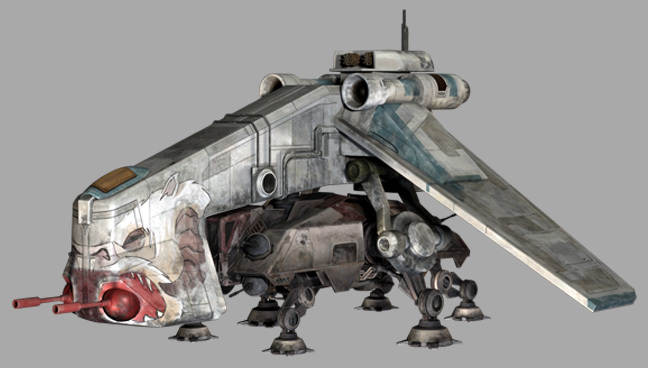 Manned by a single pilot, the LAAT/c was originally designed to deploy All Terrain Tactical Enforcers onto battlefields, though it was soon modified to accommodate a number of additional vehicles as the Clone Wars progressed, using powerful magnetic clamps to hold payloads in place. The LAAT/c shared the same rear-wing configuration common to all LAAT gunships, though it lacked the undercarriage that the more common Low Altitude Assault Transport/infantry used to carry clone troopers into battle, and also lacked the heavy armament of its cousins. A repulsorlift gunship measuring 28.82 meters long, the Low Altitude Assault Transport/carrier, or LAAT/c, was a carrier model of the Low Altitude Assault Transport series of gunships. Like the more common Low Altitude Assault Transport/infantry, the LAAT/c featured two long wings located at the rear of the craft, and the body of the gunship was considerably thinner than the LAAT/i. A single pilot manned the cockpit in the front of the vehicle, which was considerably wider and taller than the rest of the body, and the front featured two light laser cannons for defense. 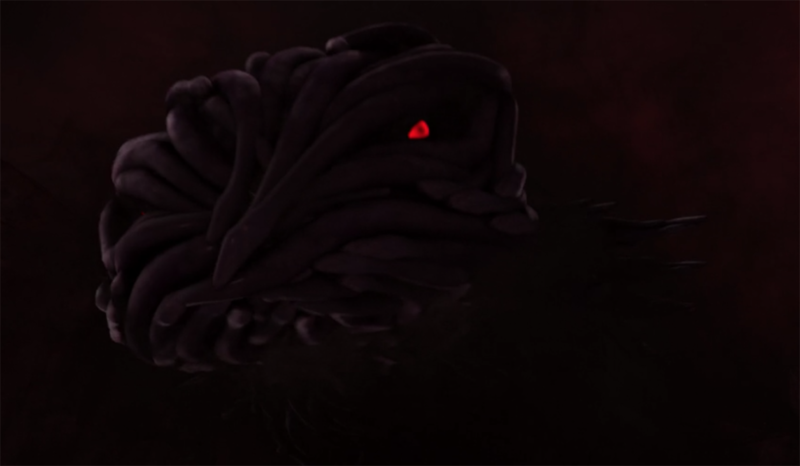 Two large cylindrical engines topped the LAAT/c's wings where they joined the body, and the gunship's two magnetic clamp arms were attached to the body underneath the wings. The gunship, which could travel at a maximum speed of 620 kilometers per hour, used its magnetic clamps to ferry a wide variety of ground vehicles to and from assault ships and transports in orbit. The LAAT/c was specifically developed to deploy ground vehicles on the battlefield, ferrying them to and from orbiting transports and assault ships. The gunship was originally designed for use with the All Terrain Tactical Enforcer (AT-TE), but Rothana soon modified the LAAT/c to accommodate a variety of vehicles. 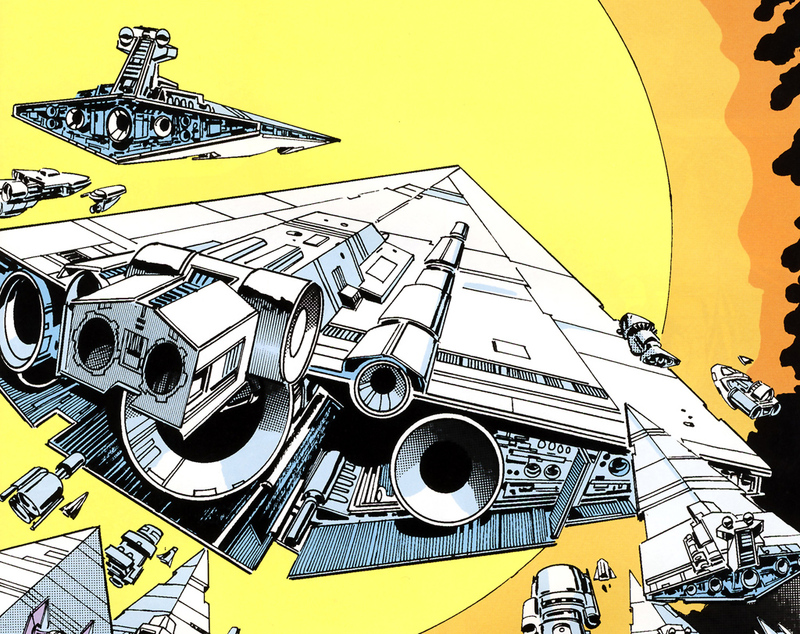 The LAAT/c was capable of deploying one AT-TE, four All Terrain Experimental Transports, a Forward Command Center, one Republic Troop Transport, one TX-130 Saber-class fighter tank, a PX-4 Mobile Command Base, or a RX-200 Falchion-class assault tank.